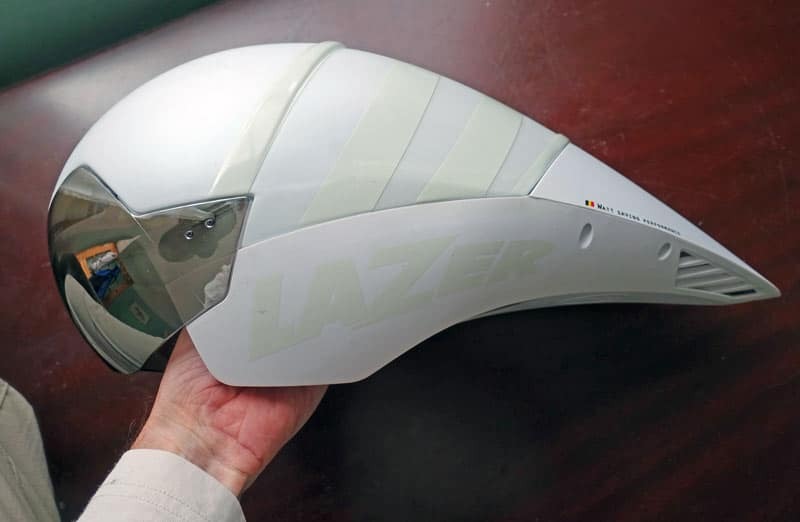 Last year, I bought a Wasp Lazer TT helmet (long tail). I only used in a few time trials last year and this year. It performed relatively well in my aero coach sessions at Newport velodrome. It was about equal second compared to several other helmets. But, I’m not going to keep as it wasn’t the best for me. It looks quite good and is well built. One aspect of the design is that it is designed to stay low to your back and avoid springin in air. I found this to be quite effective, though it wasn’t always flush against the back when racing. It is reasonably comfortable, perhaps because the sizing Large (57-60cm) fitted my head quite well 58cm circumference. 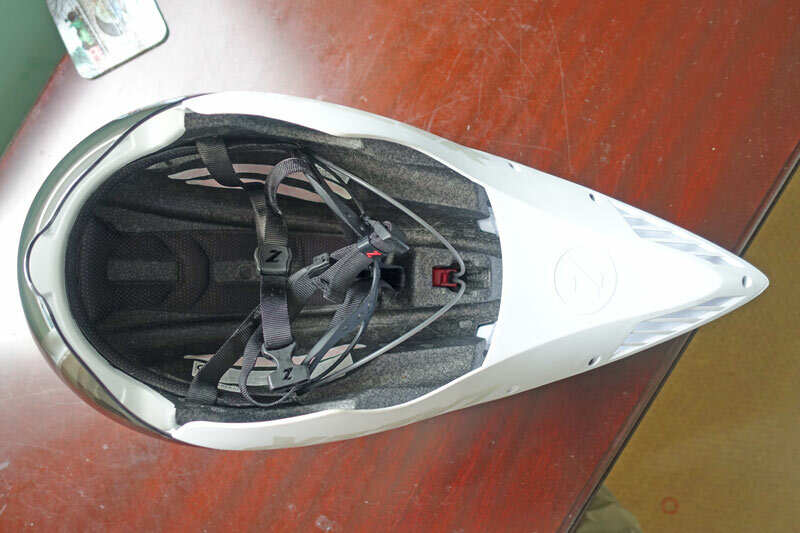 There is quite a bit of adjustability with the inside of the helmet, so there is some wriggle room. It uses Autofit® Retention System I used in the national 100 mile TT 2015, and the comfort wasn’t really an issue for 4 hours of riding. The claimed weight is Approx 500g (Medium). 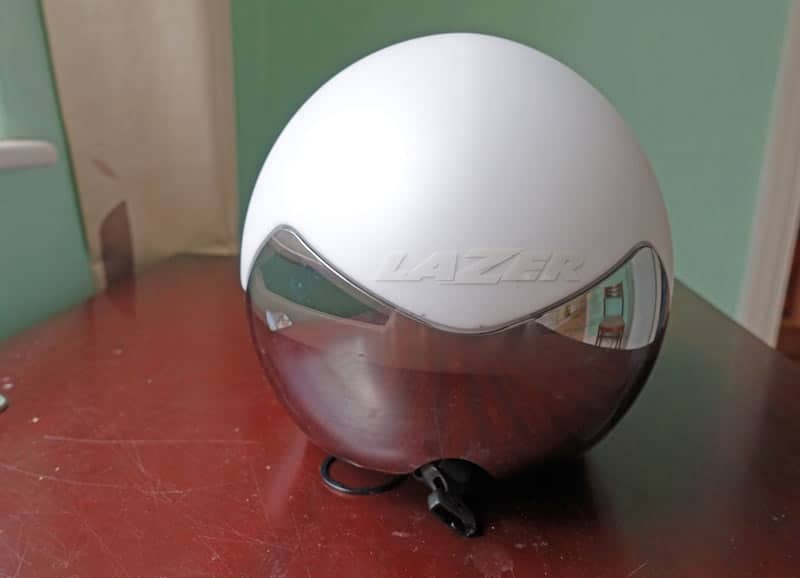 I found my large was 587 grams (on my weighing scales) it is on the heavier side for helmets. Though, that is the downside of long-tailed helmets, more weight to carry around. Not really an issue for most time trials, but I wouldn’t choose to use on the hilliest time trials where you are in and out of the saddle. The Visor is flush to the helmet and it comes with two vizors – clear and dark. It is relatively easy to swap them over. Generally long-tailed helmets are more aerodynamic than short-tailed. The only exception is people who have quite an upright position or move head a lot. 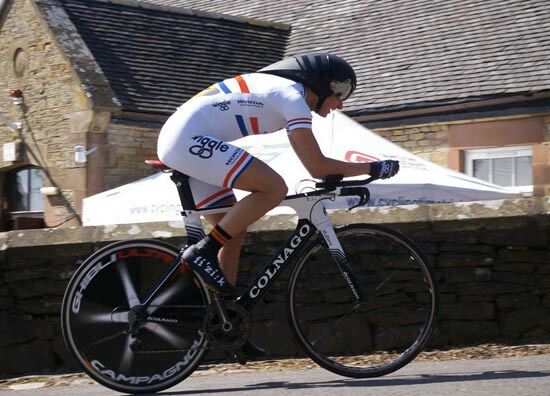 If you want to maximise time trials, you really need to learn to keep head still and position as low as is practical and maintainable. In the long-tail vs short tail spectrum – this is as long as you can get. 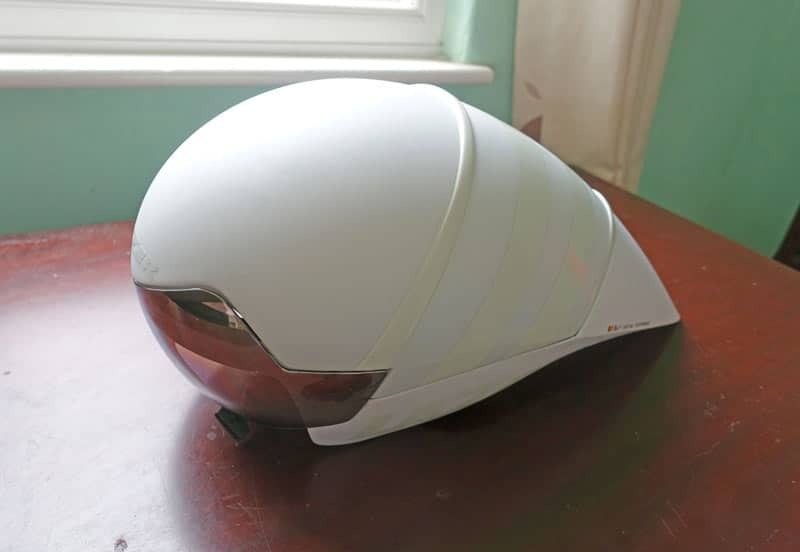 I tend not to get too hot, and didn’t have any problems with Wasp Lazer, but I must admit on very hot day, I wouldn’t be too keen to have this on my head. There are no slots in front of head (which improves aerodynamics and relies on air coming under visor and through back.